Creative thinking skills aren’t just for entertainment and the arts. Creative thinkers have an advantage in any situation, from academics to sports to business. Many of the activities in which children participate at Colorado summer camps are designed to spark creative thinking and sharpen those important skills. Many camp activities sharpen kids creative thinking skills. Kids may not feel like they’re learning the way they do in a classroom, but they’re definitely building their creative thinking skills! Colorado summer camps offer programs for just about any interest imaginable, and kids develop their creative thinking skills at camp in ways they don’t get at home or in school. Here are six activities offered by various Colorado summer camps that will enhance your children’s creative thinking skills. Young children can let their imaginations roam freely when they participate in camp gardening activities. They don’t yet need to know the hard, botanical sciences behind what happens when they plant a seed, but they can certainly see the results for themselves. Young kids learn by playing, and few things are as fun as getting their hands dirty–especially when they can see the results of their efforts develop over time. Not as many families have the time or space for gardening at home, yet gardening has been shown to help children’s self-esteem and reduce their stress levels. Whatever the specifics of the campfire program, it’s designed to be a gathering for fun and fellowship. When kids have turns speaking around the campfire–whether they’re reciting something they learned, leading a song, or simply ad-libbing about their day–they are creatively thinking on their feet. Some campfire programs include skits, and these may offer behind-the-scenes roles for more reserved children. Campfire programs are psychologically calming too, because as the fire dies down, the mood calms, and kids learn to shift into an “end of the day” frame of mind. Camps are well known for skit nights and other performances, whether or not the camps themselves are art camps. The great thing about the typical camp performance is that it’s all about having fun, and the pressure is lower than in a formal recital or school play. With camp music and drama programs, generally everyone’s participation is needed, so there’s a role (whether on stage or behind the scenes) for everyone. Each participant learns to work as part of a team and is encouraged to solve problems in the moment. The payoff, of course, is a memorable, fun time. 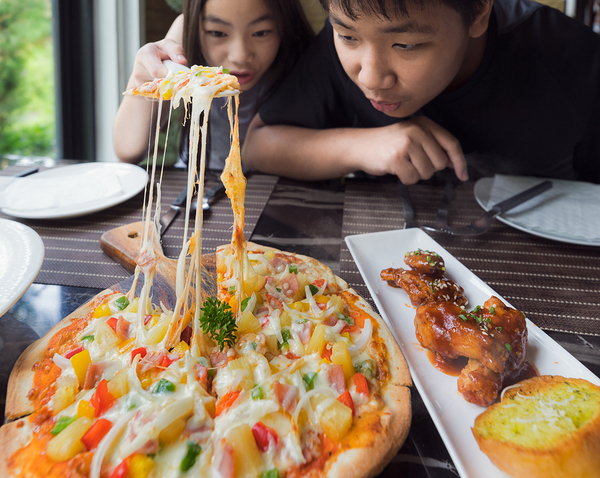 Camp sessions are available for teaching kids the culinary arts. Sure, your camper will probably come home having made a lanyard, but camp arts and crafts have expanded considerably since you were a kid. Today’s Colorado summer camps may teach your child 3D chalk art, bread-making, woodworking, and cake decorating, for example. The camp environment is designed to encourage creativity, and when kids are in settings that value and encourage their creativity, they develop their creative thinking skills the way you develop a muscle that is exercised. Creative thinking isn’t just for artistic kids, but for everyone. “Color Wars” is one of the traditional staples of the summer camp experience. Participants are split into teams, and each team is assigned a color. The teams then compete against each other in a range of events in order to earn points. Often there are a number of small events that award smaller amounts of points, leading up to a final event that is worth enough points for either team to win or lose. In addition to working together and using each person’s unique skills and talents to earn points, teams make up cheers and songs, and may design team flyers. It’s a fun way for kids to put a variety of creative thinking skills to work repeatedly. Older kids at Colorado summer camps may attend counselor apprentice programs, in preparation for becoming full-fledged counselors. 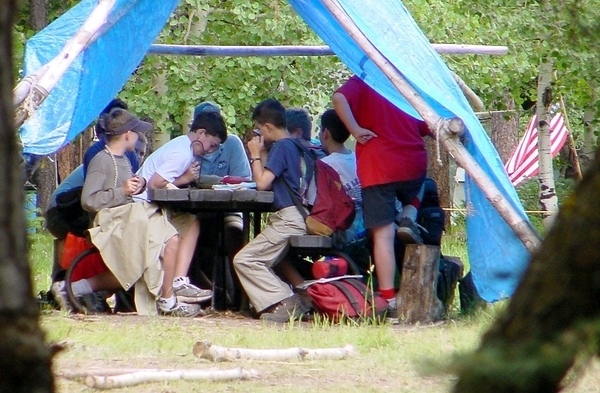 Participants in these programs learn all about the camp, plus they receive extensive safety training. Kids in counselor apprenticeships must learn to speak up and ask questions, and they are presented with countless opportunities to put their creative thinking skills to work, because summer camp can be an unpredictable experience! Furthermore, kids are encouraged to put their particular strengths and skills to use, whether that’s musical skills, sports skills, or helping younger kids get through homesickness. Colorado summer camps are excellent settings for kids to develop their creative thinking skills–skills that will serve them well at home, in school, and in life in general. Colorado Academy offers a broad range of summer camp programs for children of all ages, whether their interests are athletic, academic, artistic, or whether they just want to have a great summer filled with fun. We encourage you to contact us at any time to learn more about our programs. What Activities Will Your Child Participate in at Colorado Summer Camp?